Gatlinburg’s winter has been so mild, even at The Foxtrot Bed and Breakfast’s elevation. 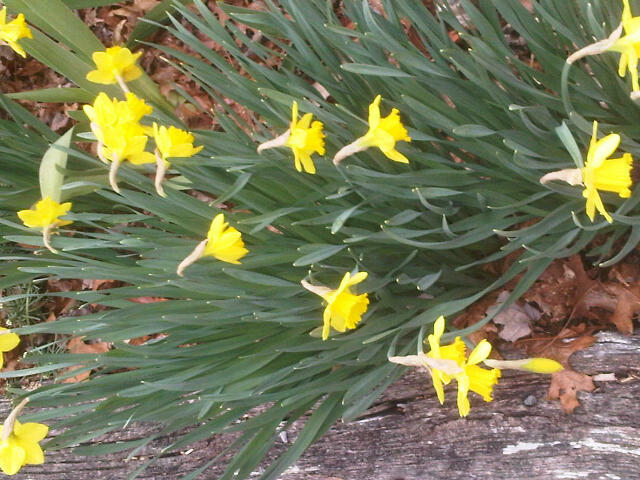 The daffodils were so pretty this year. Bright yellow, bobbing bonnets tempted you to pick them. They really sparkled along the edge of the driveway. Until a little cold snap and a little snow descended on our mountain-top retreat. 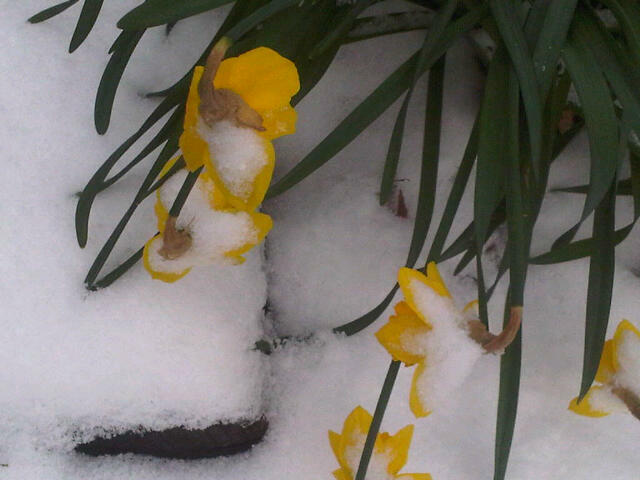 The poor daffodils couldn’t stand the cold. Little bits of color still poke through the wilted leaves. 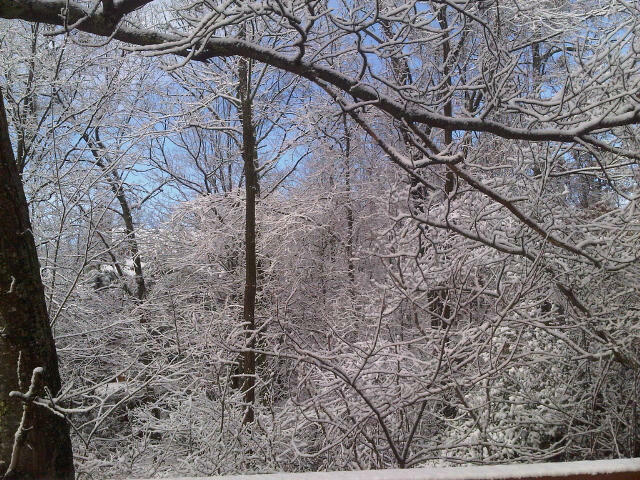 Our one consolation for the loss of our daffodils was the gorgeous scene the snow painted on our trees. So, winter sent its own beauty.